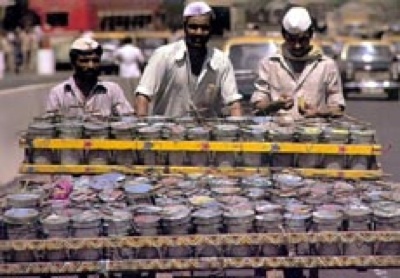 Dabba wallas, or lunch box boys, are a fixture in Mumbai (Bombay) India. With uncanny precision they deliver hundreds of thousand of lunches each day. 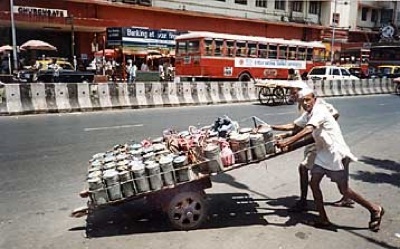 Each lunch is cooked at an office worker’s home and then correctly carried to their proper desk at their office at their precise lunch time. It is a logistical achievement beyond FedEx. The system is very low tech: Aluminum containers, each with a simple code on the lid, racks to hold the containers, and barefoot boys with good memories. Reputedly their error rate of wrong delivery is only one in 6 million. A summary of their system can be found at this article on Wikipedia. But they even have their own website!